The Ceylon Electricity Board (CEB) is planning to add 85 Gw annual output to the country’s electricity supply, with the proposed Moragolla hydro power project. It is a threat to the green Labeo (Labeo fisheri), a critically endangered fish species that lives in that part of the Mahaveli river, where the Moragolla hydro power station is to be located. The Environmental Impact Assessment (EIA) was done by the CEB and the Central Environment Authority (CEA) approved the report. The project began and dynamite was being used. It was then that the dead Labeo fish were detected, until then, they were considered extinct. The project was halted with this discovery, it was revealed that the CEB had not informed the Department of Wildlife Conservation (DWC) of this and the National Aquatics Resources Association (NARA) was instructed to carry out a study to find out whether more Labeo fish are in there. The fish species was to be translocated to the Kelani river in Kitulagala area. It seemed DWC, CEA and NARA are passing the responsibility to each other, as it was evident from their comments. The Asian Development Bank (ADB) was to give a 120 Million loan for the relocation of Labeo fish. According to senior scientist Ramani Shirantha of NARA, the relocation is not going to happen. In that case, what happens to the ADB loan? Nobody knows who got the loan. Every institution related to this is silent when questioned about it. Moragolla project manager of CEB, Jayarathna, made it clear that nobody could give information without the chairman’s permission. He blatantly said he cannot say anything without written permission and cut the line. We would like to remind all those officers who take cover behind such flimsy excuses that, with the Right to Information Act (RTI act), the public are entitled to information from public officials. It appears that the government institutions and officials are not well aware of the projects they are carrying out. The responsible people in higher posts are being ignorant, even when they can find solutions to protect nature whilst exploiting for the benefit of the country. The experts must be imaginative enough to find a solution which can protect nature as well as development activities. Major hydro projects, blast fishing and mini hydros are the threats to Gadaya. According to Madhura De Silva, three major factors have been identified as working against the existence of Gadaya. Major hydro projects, blast fishing and mini hydros are the threats to Gadaya. People in Kandy use explosives to harvest fish and the remaining Peradeniya, Gatambe and Galaha areas are subjected to development (human settlements). “In the lower Knuckles area, people use dynamite in deep pools to harvest fish and this affects the whole population including juvenile and adult fish and the entire fish population,” he explained. “At the very beginning of this hydro power project there was no record of Labeo fish in this area. When we were aware that the CEB was calling for tenders to relocate Labeo fish, we sent a letter to DWC asking the details of relocation assessments and about the species. 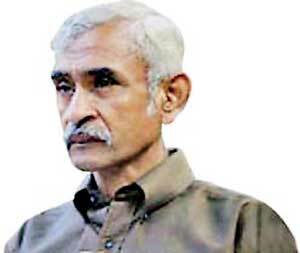 Yet the DWC never sent a reply,” Dr. Jayakody said. Dr Sewwandi described the Labeo fish as a deep pool inhabiting creature. In those deep pools, the oxygen percentage is really high and it’s a biological need of the fish species. Their habitats are places where rivers fall from one level to the other and this characteristic is necessary for the species existence. “The DWC has not yet identified some important facts as in which river they live and their population numbers; regarding how many of this species are going to be relocated, they are clueless. Now they are going to relocate this critically endangered fish species in to Kelani Ganga - Kitulgala area. NARA is doing this. If this relocation is not successful, we ourselves are driving them to extinction. We accept that energy is necessary, but at what cost? Do you really need to relocate them because of that?,” she asked. “Gadaya or the Green Labeo (Labeo fisheri), is included as a protected species under Section 31 A of Fauna and Flora Protection Ordinance. Therefore, no one can capture, harm, kill or keep in custody or under one’s possession any living individual of this species,” he said on the legal background of the matter. “According to the provisions of FFPO, the director of Wildlife Conservation can allow the capture of a protected species of fish only for scientific researches which include conservation purposes. Therefore, any attempt by NARA to catch it and trying to relocate it is illegal and even the director of DWC cannot give permission for such an operation.” he claimed. “The proposed relocation of the species is not included in the permitted activities as per the environment approval granted by the CEA, for this project. Therefore, this activity will be illegal under the section 23 A A of National Environment Act. This is a species that hadn’t been studied very much in Sri Lanka and therefore any capture or any attempt to relocate would be disastrous to this population. It is important that a comprehensive study of this species should have been carried out before any attempted relocation. It is also very troubling to note there will be a trans-boundary relocation of this population to Kelani river from the Mahaweli Ganga. There should have been a comprehensive study of the Kelani river, including the native flora and fauna, and whether any predators or any diseases are present in the Kelani river and in the other hand whether any native animal including fish inhabiting the Kelani Ganga would be adversely affected by the newly introduced green Labeo,” he explained. “We are awaiting the decision of DWC, because they have the authority to take action in this matter. 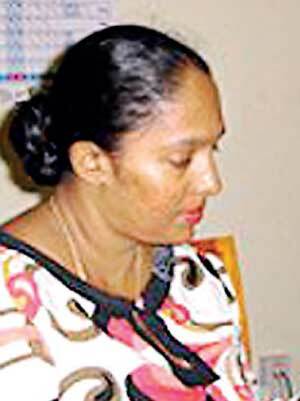 There was a supplementary EIA done in 2014 and at that time the hydropower project was approved by the Mahaweli Authority,” she said. “During the construction the CEB has noted this protected species living in the area. After that, the DWC had asked NARA to carry out a proper study to find out whether this fish species lived within the site. And I have to say; we totally depend on the DWC’s position,” she added. I’m not aware of the ADB loan or what happens to it.